Cascading smoke is contaminated by the pungent fumes of execution. The granite air of Pioneer Square is thick with it. Sharp-toothed spectres weave in and out of ethereal form to viciously bludgeon poor mortals to a pulp. Maybe I’m implicated in the massacre but, before I can worry about that, I’m knocked to the ground: another of the vampiric Kindred hangs over me to slowly, gleefully, drip blood all over my prone body as if I’m a disturbing portrait. Perhaps I am guilty of the transgressions of which I’m accused, but there’s more to this relentlessly dark mystery than meets the eye. 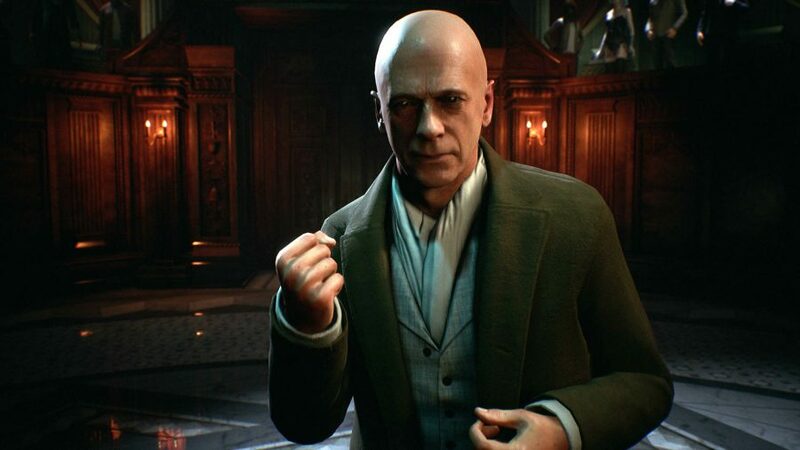 Vampire: The Masquerade – Bloodlines 2 begins just as Troika Games’ famous predecessor did: with an interrogation. Moved from your nightmarish reverie back to the present, you find yourself in the dock for an egregious misdemeanour: by allowing a witness to escape after having seen you in your true form, you have broken the Masquerade, the agreement among you and your blood-sucking friends that the actions of your kin must be kept secret from your oh-so-delicious prey. For a game where superhuman power is central, being questioned in an unsettlingly slimy manner by the Camarilla representative makes you feel acutely vulnerable. But before long, this interview starts to go badly. Then, just when it looks like everything is over before its begun, the courtroom erupts in explosive flame that greedily licks at a devastated hallway, indicating my escape route away from my menacing interviewer. From here, I need to make my escape through the sewers of Bloodlines 2’s new setting of Seattle. It’s at this point that my true superhuman power begins to reveal itself. As a thinblood I am neither restricted to one of the many factions competing for supremacy in this nightmarish reimagining of the Emerald City shrouded in the World of Darkness, nor a dedicated playstyle. That comes later. For now every goon in my way presents a gloriously gruesome opportunity, and I grab each with both hands. Then, in this case, I smash the head I’m grabbing and unleash a billowing shower of blood, and teeth. Equally I can pick up a ranged weapon, although guns are much less emphasised compared with the original Bloodlines. You also certainly won’t endure sections in which you’re forced to use them. However, you can also use telekinesis to rip away enemy ranged weapons to turn the tables on them from afar. 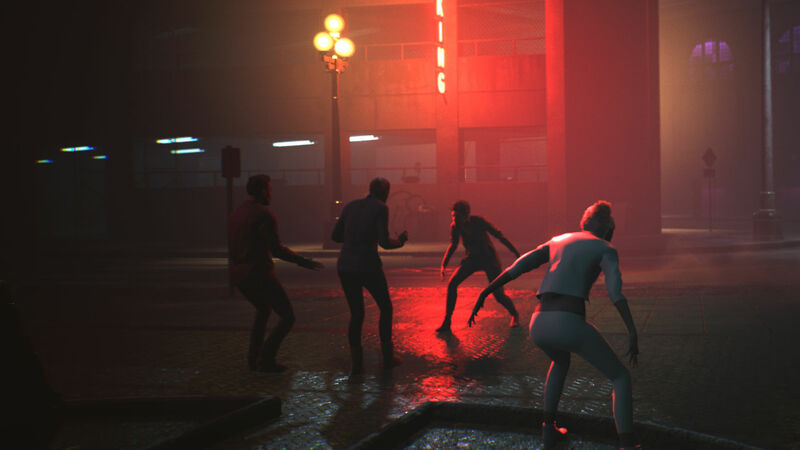 Combat was never the reason why Vampire: The Masquerade – Bloodlines is so fondly remembered, but the difference in vampiric fisticuffs here is emphatic. It is, however, in your choice of how to tackle environmental obstacle that best shows how Hardsuit have mined the immersive sim genre to take this gothic punk universe to the next level. The first puzzle I stumble on is a classic: the key I need is behind a locked door. I have three options. I could use nebulation to turn myself into smoke and travel through a pipe. Or I could use telekinesis to rip off something blocking a fortuitously designed vent. I also I have the option to boost up on top of the pipes and drop though a hole in the ceiling, in a way that’s redolent of Dishonored’s ‘Blink’ ability. While this might sound a touch formulaic, I’m assured during my GDC demo that this is a tutorial area – you will not always have these same options every time. Evidently reprising your role as a blood-drenched parasite will make you feel powerful, but it’s the opaque machinations of the story that takes that away. It’s as seductive as ever. You might have a grand ol’ time bashing your average foe, but knowledge is power, and that’s something you do not have right away. For instance, you find a man holding a phone out to you with the intimidating voice of a woman blaring our from speakerphone. You get the feeling she knows everything there is to know about you. The man is her slave; he has been “dominated”. Her politeness in inviting you to meet an informant is laced with a dark edge, but you have multiple choices of response. Not long after, your informant gets his head sliced off like a hot knife through butter by a long haired assassin. Leering at you his voice slithers “you’re not on my list” as you gape like a goldfish. It turns out you’re not so powerful after all. Gruesome beheading aside, it works out rather well for you: you can use the informant’s house as your new base, or ‘Haven’. You can then use this safe space as a springboard for your next adventure. One wall in your base will be strewn with photos and clues about Seattle and the beings that stalk you, but you can also find side missions here, but they will not trigger as icons on the map. Instead you just follow what takes your interest. Hardsuit doesn’t want you to merely look at its gritty, beguiling world, it wants you to see it. And, when you do, even the most silver-tongued of vamps will struggle to avoid combat. In recognisable fashion, all of your action use up blood, and you’ll need to feed to keep yourself going. Go fangs-blazing in the middle of a well-lit plaza and you’ll quickly hear the whine of a police siren. Then, if you best them, darker forces will commence their hunt. The back alley of a night club is my best bet to sate my hunger. The scene is like a debased Renaissance painting: I can see a man being beaten up, another is drunk, high, or both, and the other is creeping around mysteriously. But, here’s the twist, courtesy of the new ‘Resonance’ system. Now, human blood has distinct tastes that give you a buff your character and act as secondary XP. In the case of the debauched scene I find myself in, the men fighting will give add rage, thus boosting your damage Then there’s the creepy man who, it turns out, is just horny – his blood will improve your seductive skills. Then there’s another wrinkle: tying into the theme of loss of humanity that pervades Bloodlines 2, if you consume too much blood, you will give yourself further to your beastly form. While this confers battle advantages, there are as-yet-unknown benefits to retaining an element of humanity. So far it sounds something like the choice to save or murder the Little Sisters of Bioshock. 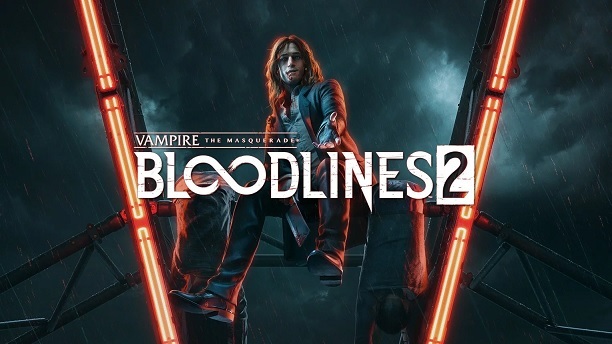 With the creator of the original Bloodlines, Brian Mitsoda, on board, existing fans nervous about the sequel’s narrative front should not fear. The writing was strong in my brief time with the game, with the wider story inexorably clawing you in. It is the weaker elements of Troika’s 2004 effort that have been vastly improved: now key features of the immersive genre transform your approach to combat and make it just as absorbing as the original’s exploration and dialogue. Since we already consider Vampire: The Masquerade – Bloodlines of of the best RPGs around, the sequel has the potential to be seriously special. With 15 years without a feed, we now have an extravagant feast to sink our gnarled teeth into.